# couples wanting that quiet, romantic interlude. # those wanting to enjoy a private, rural retreat. # people wanting to unwind from the stresses and strains of city living. # couples wanting a restful, relaxing ‘getaway’. # taking an opportunity to ‘recharge those batteries’ in a stress-free environment. # re-newing, re-invigorating or re-discovering the ‘magic’ of a romantic relationship. # people just wanting some ‘space to relax’ and ‘time to dream’. # celebrating those special occasions such as wedding anniversaries, birthdays, etc. A central base to take advantage of the many activities and attractions the region has to offer. # only 12 kms from Te Aroha and 20 kms from Matamata and Morrinsville. # cities of Hamilton (55 kms), Rotorua (70 kms) and Tauranga (65 kms) are within an hours travelling time. # people from Auckland are only 90 minutes travelling time away. 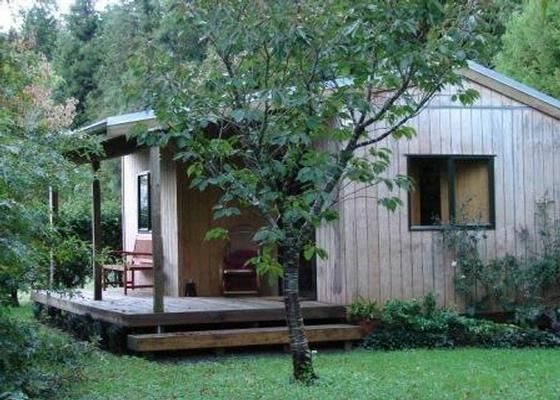 # many excellent tramping tracks along Kaimai Range are only a short distance from cottage. # only 10 minutes from the renowned spas in the Te Aroha Domain. # country golf courses of Te Aroha, Matamata, Okoroiri, Morrinsville, Paeroa, Walton and Tahuna are all within 30 minutes drive of cottages. # within easy striking distance of country Racing Clubs of Te Aroha, Matamata, Paeroa, and Tauranga as well as the Trotting Clubs of Hamilton and Cambridge. # and now enjoy the ritual of lighting up a wood fueled water heater and enjoying a hot bath 'under the stars'. #### Note please that smokers are welcome but must smoke outside the cottage. If breakfast items (full country style breakfast) are required for the 1st mornings breakfast, an additional fee of $20 is payable. A request would need to be made after you have booked through Bookabach. No children. Cottage is designed specifically for couples. Relax in a Finnish/Swedish style steam sauna or just simply enjoy a good wine sitting on the deck..
Local tennis courts 150m from property entrace. Te Aroha, Morrinsville and Matamata have 18 hole golf courses. Tony and his wife had an enjoyable break in our boutique cottage a mere one hour's car trip away from Tauranga over the Kaimai Range. Their visit was coordinated to take in Te Aroha's main Horse Racing day of the year, which featured "The New Zealand Thoroughbred Breeders Stakes". Also they enjoyed some of the many walks that are found in the Te Aroha area. Very pleasant couple to deal with both with communication before their visit and when conversing to 'face to face'. Treated our cottage with the utmost respect. Have no hesitation in highly recommending to any other HomeAway (Bookabach) Owner or Manager. Seclusion, sleep & secret facilities! A far better option than staying in Te Aroha town which was only a short drive away, and easily explored during the day. PS: The food wasn't great at Te Aroha's restaurants, so you might be best to make your own back at the chalet for most meals. Geoff and Bronwyn were an extremely pleasant couple to deal with. Communication was excellent before their visit and just as good 'face to face'. They made very good use of the facilities especially the steam sauna and the outside bath heated by a wood fired water heater. They commented on the quietness which they could not obtain in the city. We have no hesitation in highly recommending to any other HomeAway (Bookabach) owner or manager. +++++ Denver and Diane. What a great place to stay! The cottage and grounds were lovely! We were looking for a quiet writing retreat and this was the perfect place. Highly recommend for de-stressing, getting off-line, quieting the mind. The outdoor bath was a treat - the large indoor bath was great as well. The hosts are lovely and made us feel welcomed. Mars and Danielle were great guests. Excellent communication leading up to stay, very pleasant to converse with face to face on arrival and then never heard a 'dicky bird' (word) from them until they left. Treated our boutique cottage with the utmost respect so can highly recommend to any other HomeAway (Bookabach) owner or manager. All the best on those epics that each of you are writing. Hopefully the rural and woodland surroundings of cottage were inspirational. Denver and Diane. A lovely retreat from the fast paced life that we live - very peaceful and serene - would love to return sometime. Beautiful cottage with lovely little touches to make it special and unique. Perfect place to relax and enjoy any time of the year. We had a great couple of days and would highly recommend. Stunning! I couldn't recommend this idyllic peaceful more Hightower! This turned out to be a magical spot- everything had been thought of to make this a perfect stay, and the green surround gave us the privacy and peace we were hoping for. If you're debating whether to stay, stop wondering and book!! Thank you very much for great review. Trees are great to look at and pleased that guests enjoy the private, peaceful surroundings.